In February of 2009 high-end Italian manufacturer Marzocchi announced a recall of several models of mountain bike forks that could compress on a hard landing and lead to injury. As of February of 2009 there were eight reported incidents where the malfunction occurred. As a result of the reported injuries, Marzocchi chose to recall all of the potentially defective forks. Tenneco Inc. of Lake Forest, Illinois bought the Marzocchi brand in 2009. Now that Tenneco, an Illinois company, has purchased Marzocchi, you may be able to pursue a claim for injuries under Illinois law if you were injured by a defective Marzocchi fork. 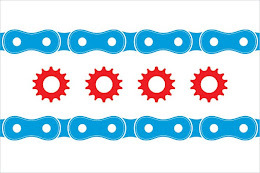 Under Illinois law bicycle manufacturers have an explicit responsibility to only sell bikes and bike parts that are safe. Bike parts that fail when used in a normal way and lead to an injury may be the basis for a strict product liability case under Illinois law. The Illinois laws governing products liability are considered some of the most pro-consumer laws in the United States. Keating Law Offices has been contacted by riders who were injured when the Marzocchi fork on their bikes malfunctioned while riding. If you have any questions regarding the Marzocchi recall or if you have been injured while bicycling and wish to discuss your case, please contact Mike Keating at MKeating@KeatingLegal.com or 312-208-7702.